Xiaomi Blackshark is expected to be the company’s gaming smartphone brand that is all set to take on the Razer Phone and possibly the Razer Phone 2. 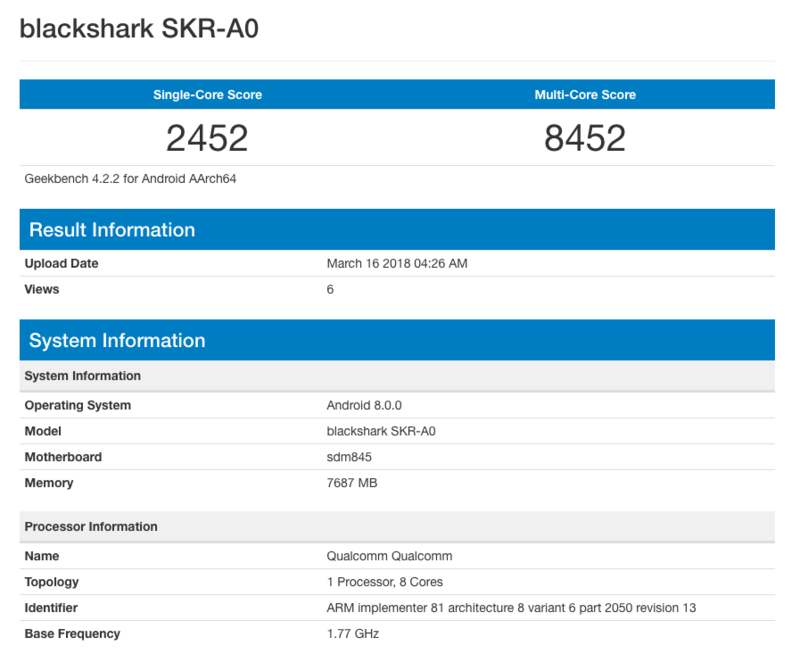 The model name of the phone is Blackshark SKR-A0 and it has seemingly leaked on Geekbench with the best possible internals that you can imagine on an Android gaming smartphone. Coming straight to the scores, the phone scored 2,452 points in the single-core tests and got 8,452 points in the multi-core test. The most interesting revelation is that Blackshark SKR-A0 seems to have a better performance than the Samsung Galaxy S9+, as reported by MySmartPrice when Samsung’s flagship smartphone manages to score 2,422 points in the single-core test and 8,351 points in the multi-core test results. As per the information on Geekbench, the Blackshark SKR-A0 is powered by Qualcomm’s Snapdragon 845 chipset which is clocked at 1.77GHz, but these are the power-efficient cores and not the performance ones. It sports 8GB of RAM and could come with 128GB or 256GB of Universal Flash Storage. Though stock Android is preferred, Xiaomi could be using a custom UI. It is also possible that the Blackshark employs the use of a 120Hz display, but that will mean the smartphone cannot be incorporated with an OLED display and will have to stick with IPS LCD technology. We also believe that to provide the best possible audio experience, the Xiaomi Blackshark gaming smartphone will be equipped with big stereo speakers, making it a terrific device for media consumption. A better cooling solution and a decent battery capacity can be expected from the upcoming device. What we do not know about the Blackshark is when it is going to be unveiled or what price tag it will come stamped with. 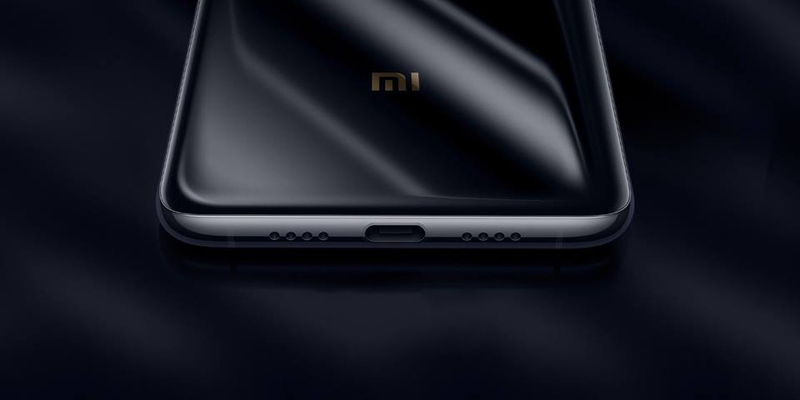 Perhaps on March 27, we will get to know Xiaomi’s plans to a greater extent when it unveils the Mi MIX 2s and Mi7.